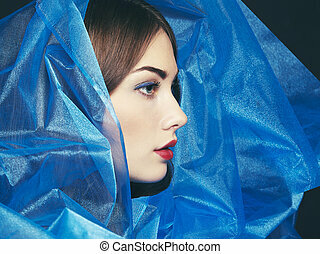 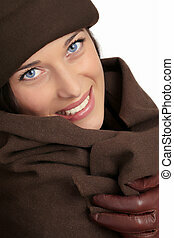 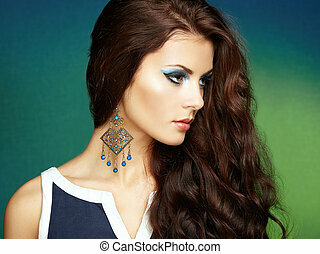 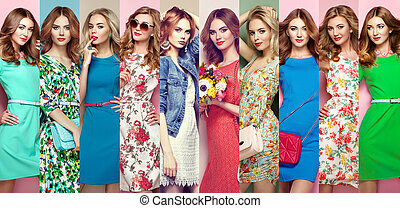 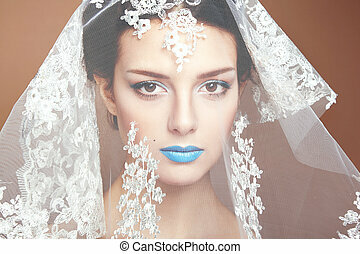 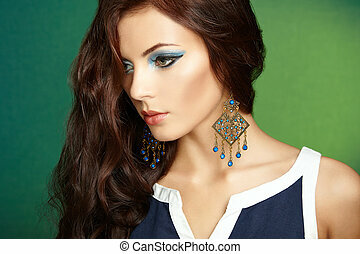 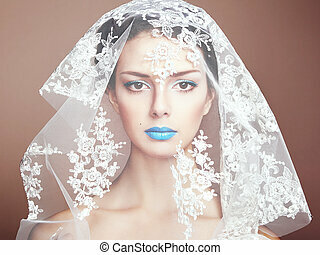 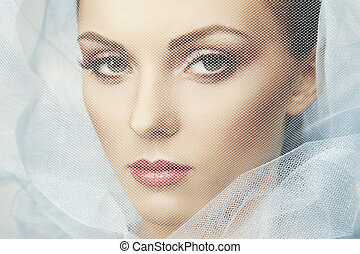 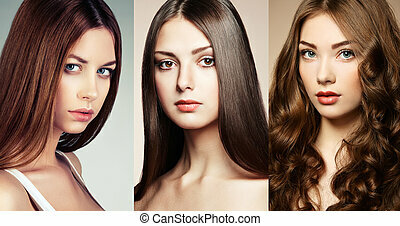 Fashion photo of beautiful women under blue veil. 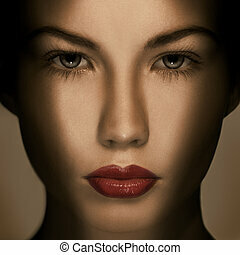 beauty portrait. 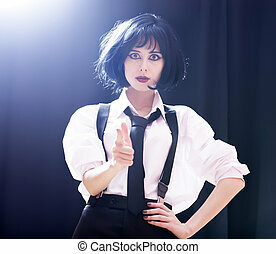 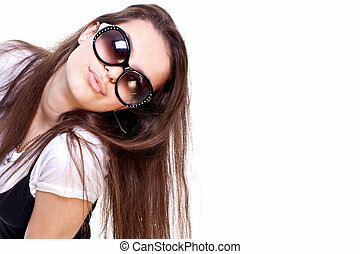 Fashion women with tie. 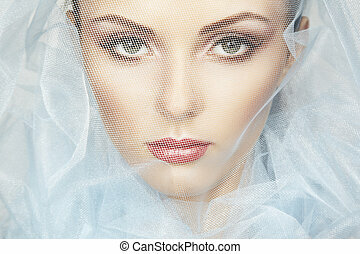 Studio shot with backlight. 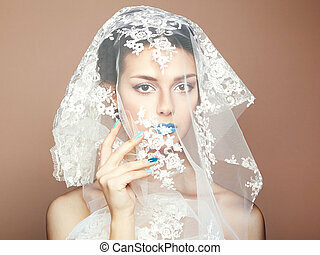 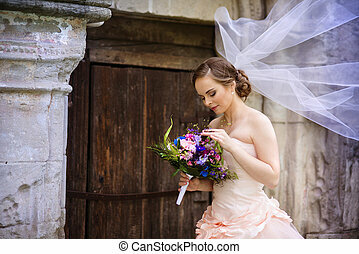 Beautiful bride in veil standing by the old stone chapel. 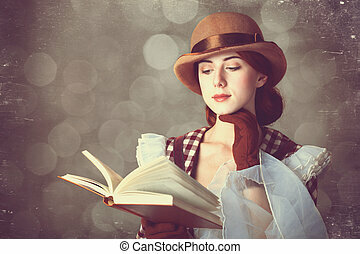 Beautiful redhead women with book. 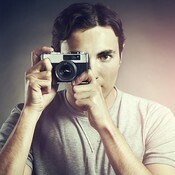 Photo in retro style with bokeh at background. 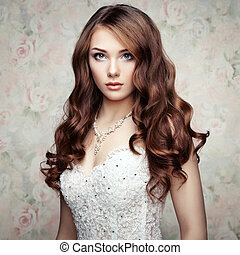 Sensual young lady in red dress posing an studio. 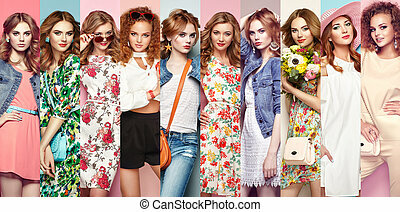 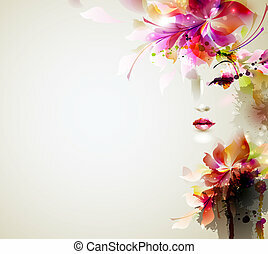 Beauty, fashion concept. 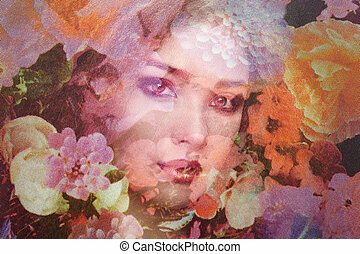 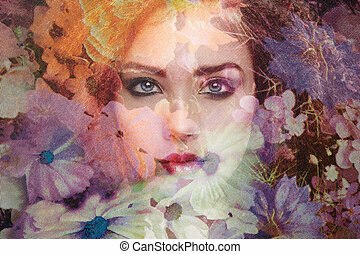 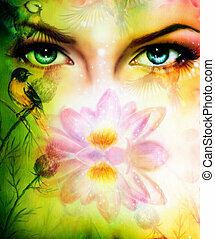 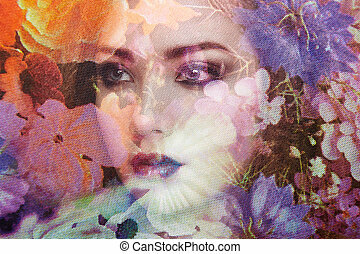 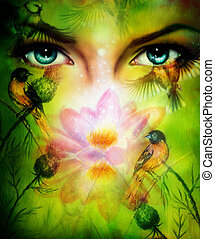 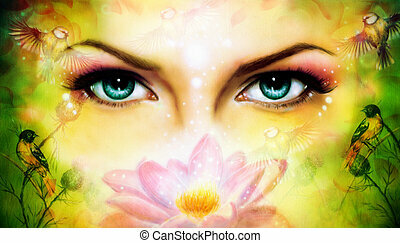 A pair of beautiful blue women eyes beaming up enchanting from behind a blooming rose lotus flower, with bird on yellow and green abstract background. 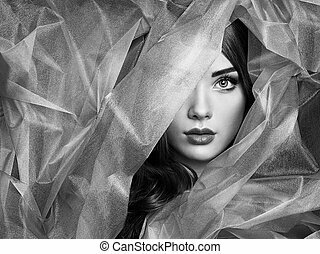 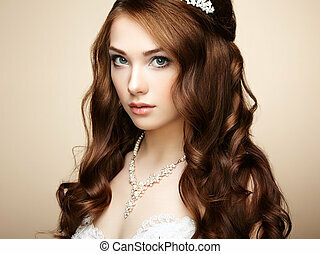 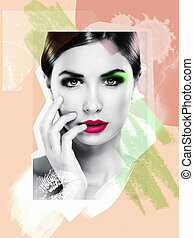 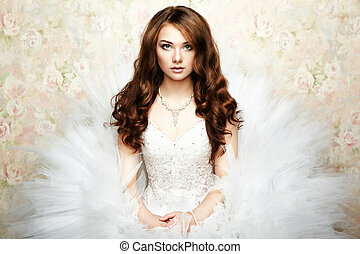 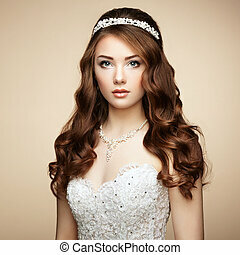 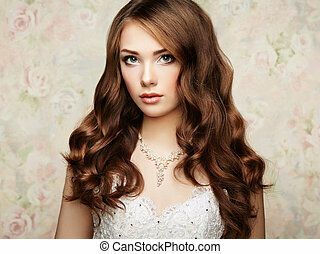 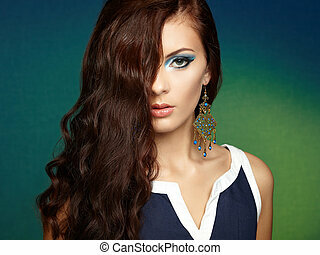 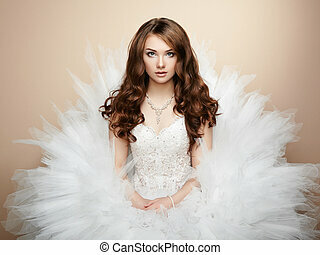 Fashion Portrait Of Beautiful Woman. Dark Background. 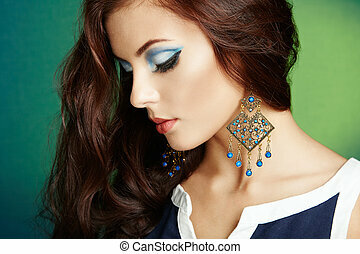 closeup portrait of beautiful young woman with dark blue nails touching sad face with closed eyes.